High-quality images & dual-sided card printing. 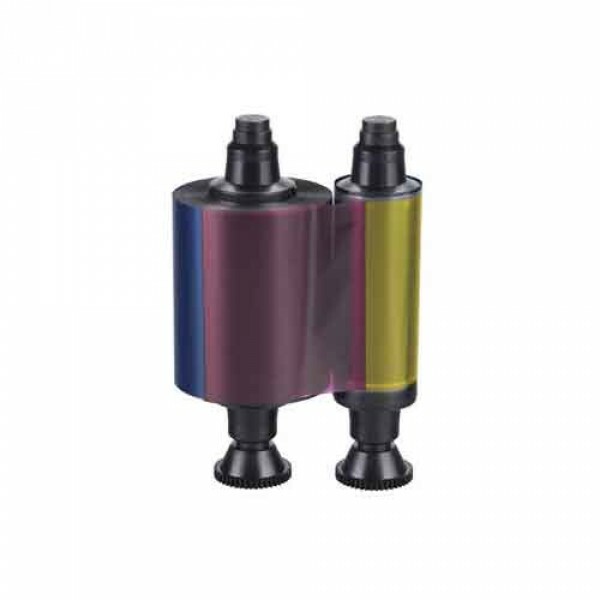 The Evolis R3314 YMCKO Color Ribbon consists of yellow (Y), magenta (M) and cyan (C) color panels for full spectrum printing using varying degrees of heat. The Black resin (K) panel is used for text and barcodes, and the (O) panel is an overlay to help protect the card.